COLORADO SPRINGS — United Launch Alliance will begin flying Vulcan hardware on Atlas 5 rockets this year in an effort to give the next-generation launcher bona fide flight heritage before its debut in 2021. ULA’s Atlas 5 rocket, with 79 consecutive successful flights, has a track record rivaled only by the European Ariane 5. The only blemish on Atlas 5’s record is a 2007 mission where its upper stage underperformed while carrying a classified satellite into orbit. ULA still considers the NROL-30 mission one of Atlas 5’s 79 successes since the satellite reached its destination using onboard thrusters. Up until a January 2018 Ariane 5 flight that put two telecom satellites in wrong orbits, Arianespace held the longest continuous streak with 82 consecutive successes with that rocket. Reliability has been a top selling point for United Launch Alliance, especially as the company fights to preserve its share of U.S government launches while elbowing its way into the commercial market, competing more aggressively with SpaceX, Arianespace, and others. As ULA prepares for Vulcan Centaur, the Boeing-Lockheed Martin joint venture will be starting over with a new vehicle that, while expected to be more price competitive, won’t have Atlas 5’s long string of successes. But that doesn’t mean Vulcan hardware will start from day one without any flight heritage. 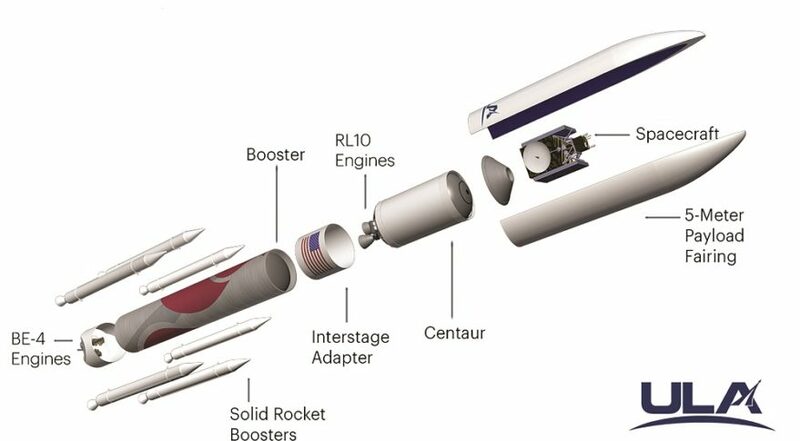 For starters, Vulcan will use a Centaur upper stage upgraded with larger fuel tanks and powered by a variant of Aerojet Rocketdyne’s RL10 engines. Both systems have extensive flight heritage in their current configurations. In 2015, when ULA selected Orbital ATK (now Northrop Grumman Innovation Systems) to provide GEM-63XL solid rocket boosters for Vulcan, it also decided to phase out Atlas 5’s Aerojet Rocketdyne-supplied solid boosters in favor of the GEM-63. The first Atlas 5 launch using GEM-63 boosters — which measure two meters shorter than Vulcan’s 22-meter GEM-63XLs — is planned for 2020, according to Northrop Grumman spokeswoman Kay Anderson. She said a September test firing showed the booster would benefit from “nozzle enhancements” that Northrop Grumman chose to implement, delaying the first flight until 2020, though it was originally expected to fly on Atlas 5 this year. The first Vulcan technology to fly on Atlas 5 will be new payload fairings from Swiss supplier Ruag built using an “out-of-autoclave” production process that enables fairing halves to be produced as one piece, a process Ruag says lowers production time and costs. “The out-of-autoclave fairings, which are manufactured by Ruag, and now in the U.S. — they are in a factory next to ours in Decatur — that’s going to fly on Atlas 5 this year,” Louradour said. ULA said it is seeking commercial customers for Vulcan’s early missions, the first of which is scheduled for April 2021 followed by a second mission two to three months later. The company needs to conduct at least two Vulcan missions with commercial customers as a prerequisite for Air Force certification, making commercial success critical to ensuring ULA can continue to launch national security payloads. Louradour said ULA’s experience evolving Atlas through the 1990s up to today’s Atlas 5 should give customers confidence it can seamlessly transfer that reliability from one launch vehicle to another. 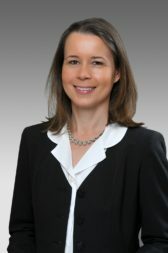 “We know it’s hard, but we know how to do it, and I think early on that is something that will position us well in the early 2020s [with Vulcan],” she said. Louradour said Vulcan will combine the strengths of Atlas 5 and Delta 4 with the production and launch operations infrastructure the company already has in place.